Here are some figures to consider if you’re wondering why, with a budget of almost 54 billion dollars, the Ontario Ministry of Health says they don’t have enough money to continue funding our two hospitals in Huntsville and Bracebridge. 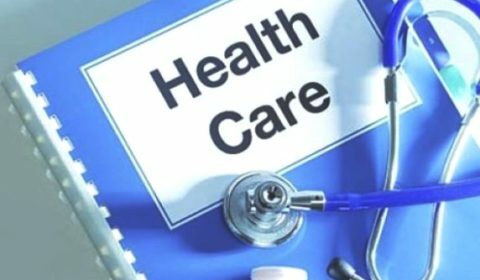 Overhead in Ontario’s health-care system is crippling, claims a letter circulating locally. In Ontario, we only have two doctors per 1,000 people (which is 57th in the world), only seven nurses per 1,000 people (which is 24th in the world), and only 1.7 acute care hospital beds per 1,000 people (which is 85th in the world). But the province of Ontario has ten times as many healthcare bureaucrats as the entire country of Germany. This is the organizational chart of the Ministry of Health. This does not include the 14 LHINs, each of which have a CEO, vice presidents, managers, partners, analysts, supervisors, assistants, etc. And then there are the 76 sub-regions, which each have their own officials. Thousands and thousands of bureaucrats. Too many of our healthcare dollars are going to this massive bureaucracy, which has been steadily expanding under the (Premier Kathleen) Wynne government. In fact, this the only part of our healthcare system that has consistently seen increases in funding and growth over the past ten years. If the Ministry of Health says cutbacks are needed to keep our hospitals open, it’s patently obvious where those cuts should be made.